I did this one for the latest Jay Gee's Nook Challenge. 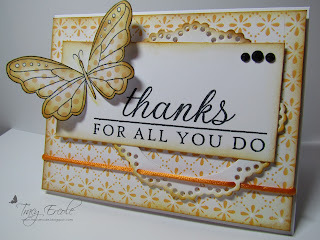 I love this butterfly stamp by Hero Arts, I seem to be using it on a lot of my cards lately. I also got to use my new PTI sentiment stamp. As the sentiment is so prominent, I am also going to put this in the Wee Memories Challenge #66, Simply Sentiments. 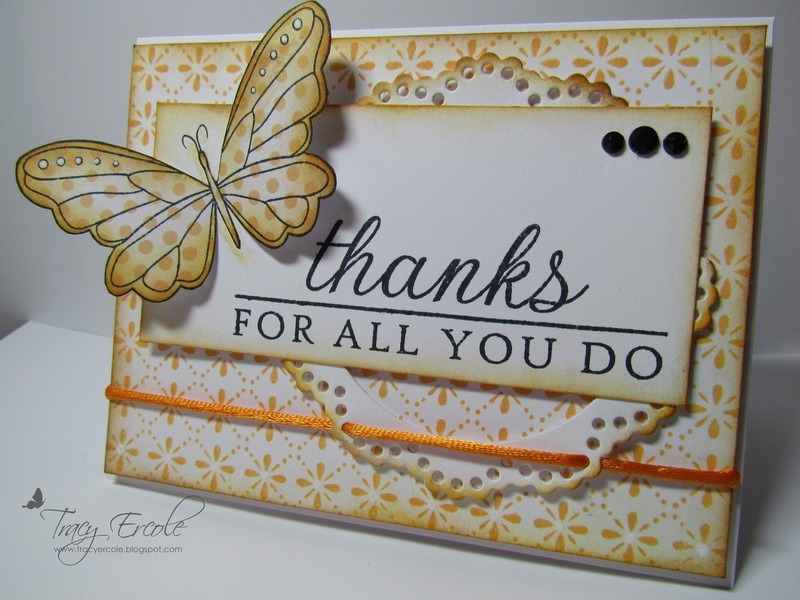 Fabulously gorgeous card--the colors are wonderful and the use of the butterfly to highlight the sentiment it great! LOVE this butterfly! Pretty card with such lovley colors! Such a pretty card! I love that sentiment and it looks perfect next to that gorgeous butterfly! Thank for playing at Wee Memories this week! 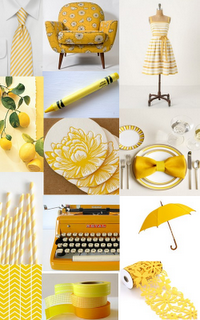 Such a fabulous creation! I love the butterfly.